Call it a coffee mug, water bottle, tea glass, beer mug or whatever you want. Just pour your favorite beverage in and enjoy for hours. Imported. Warning: This product often results in brain freezes and torched tongues caused by a double-wall vacuum insulation. 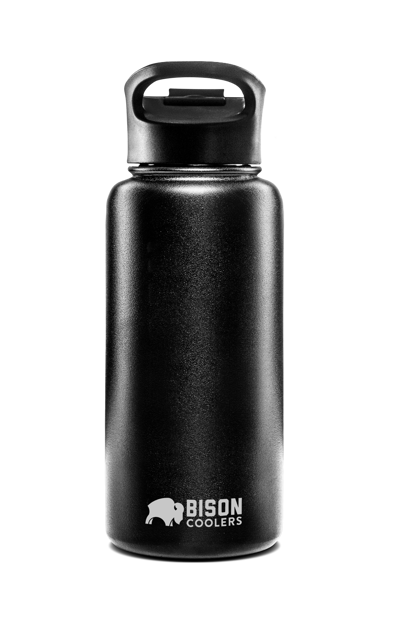 The Bison Bottle 32 oz does not discriminate against coffee, tea, water, beer, frozen drinks or any other beverage. 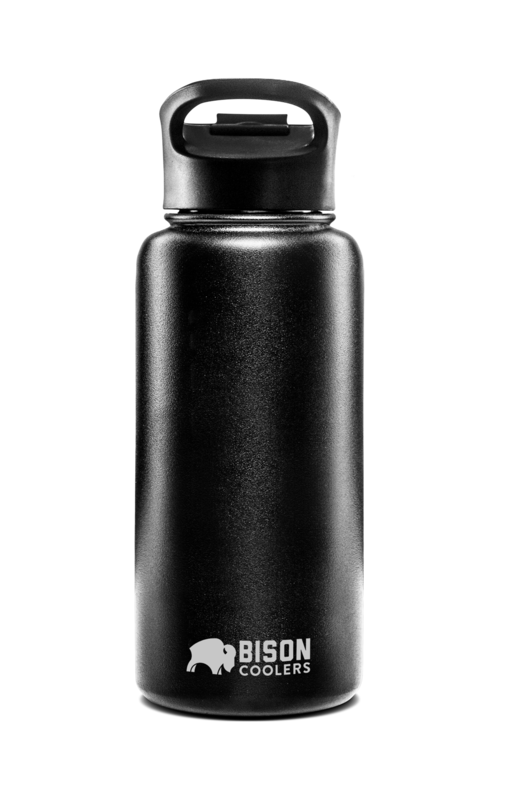 Made from durable 18/8 stainless steel, it keeps cold for up to 24 hours and hot up to 12 hours. Our new Leak-Stop flip top lid prevents spills and keeps your drinks fresher, longer. With 32 ounces of capacity, it’s the perfect bottle for any beverage.